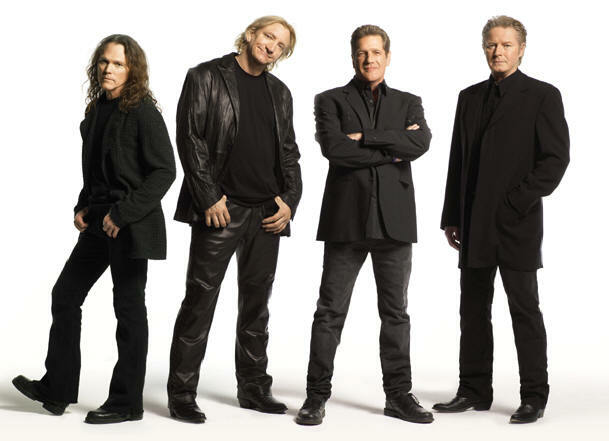 The Eagles come to the Marcus Amphitheater on July 7, during Summerfest 2013. Fans of the band will be treated to hit songs that go all the way back to their first album, created in 1973. Eagles tickets go on sale this weekend. The band performs on the final night of Summerfest. Will the original band come back together for this tour? Don Henley and Glen Frey will certainly be part of this tour. Some would say that that Joe Walsh is "almost" an original member, because he has been in the band for a very long time. True fans of the band have to give a nod to three members that will not be on this tour. Those three men are Bernie Leadon, Don Felder and Randy Meisner. Don Felder jumped on board in 1974, so he's pretty darn close to an original member of the band. Bernie Leadon was certainly an original member, and so was Randy Meisner. Glen Frey and Don Henley became the face of the band as the years rolled on, but their best selling album was made up of songs that were created by the original members. The rock and roll lifestyle isn't for everyone, and the grind of touring is what drove Randy Meisner out of the band. As for Leadon, he didn't like the direction that the band was taking. He loved the country music aspect of the group. The rest of the group was ready to move towards rock. Something had to give, and it was Leadon who gave in. If you play their first album, and the album titled The Long Run back to back, you will certainly notice that the country sound is long gone by 1980. The Eagles had evolved, and that certainly didn't make their fans unhappy. They came out in droves when the band got back together in 1994. Since that time, the Eagles have managed to put together great tours, but little new music. The band released a pair of new songs for the 1994 tour, but those songs were part of a live album that featured songs from the past. The Long Road Out of Eden came out in 2007. It was an album made up of new material. As for songs charting, the album got some traction on "Adult Contemporary" radio stations, but no single song from the disk cracked the top 100 on the US charts. Long Road Out of Eden sold close to five million copies world wide, so it would seem that their die-hard fans we happy to pick up the disk. As for getting radio airplay, that's a different story.